Lunch at Guincho a Galera in Macau. 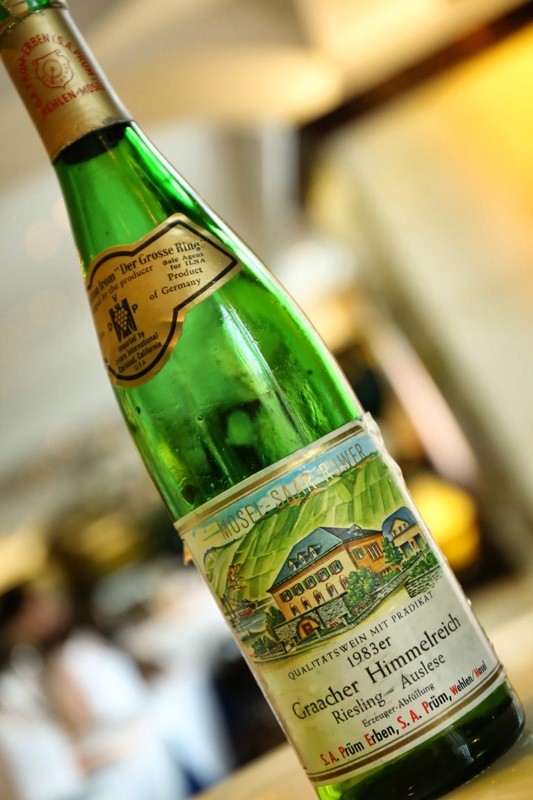 1983 S.A. Prüm Graacher Himmelreich Riesling Auslese Goldkapsel - nose of mandarin peel, a little flinty, marmalade. Slight hint of bitter mid-palate, with very noticeable alcohol level. Rounded and a little viscous on the palate. Yum.